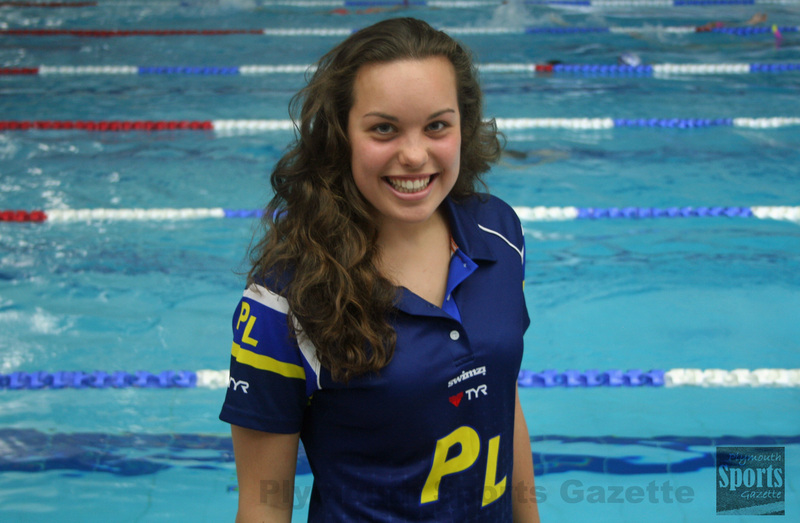 PLYMOUTH Leander enjoyed a good penultimate night at the British Summer Swimming Championships in Sheffield. The city club picked up four individual medals, with Honey Osrin again leading the way. Osrin claimed up her third gold medal of the championships with victory in the 15 year-old girls’ 200m IM. Osrin, who had already triumphed in the 100m and 200m backstroke, clocked 2:18.17 to win by more than a second. There were silver medals for Reid Jones and Tegan Drew. 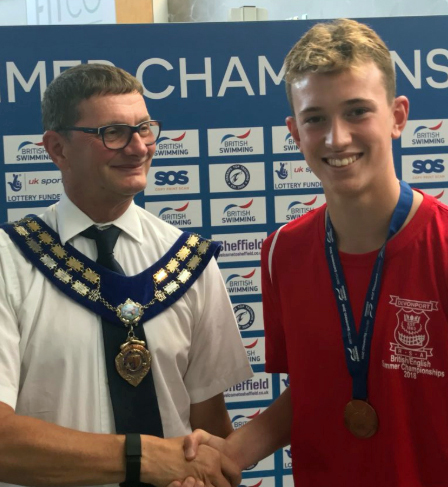 Jones’ came in the 16 year-old boys’ 50m freestyle with a time of 24.04 seconds, while Drew’s medal was achieved in the 17/18 years’ 50m backstroke. There was also another medal for Leander’s senior international Laura Stephens. She picked up her fifth of the championships with a bronze in the women’s 200m IM. Devonport Royal swimmer Aiden Symons-Brown (pictured) claimed a second medal at Ponds Forge. He added to the bronze he picked up in the 13/14 year-old boys’ 100m freestyle on Thursday by picking up the same colour in the 50m final. He clocked 24.98 seconds to make the podium for a second time. Mount Kelly claimed a relay gold on Saturday evening. They triumphed in the 4x100m girls’ 14/16 years’ event with a time of 3:52.60. Macy Lawrence, Gaurika Singh, Kaylee Dekker and Georgina Dennis made up their quartet. Leander just missed out on a relay medal in the 14/16 year-old boys’ 4x100m event, where they finished fourth. There were individual finals on Saturday for Dinnaton’s Cole Haigh, Leander’s James Watson and Mount Kelly’s Ben Harrison, Lily Maclead, Niamh Robinson, Ben Gillingham and Bella Hodges. Another great night for the club at the British Summer Champs Finals.